The core business is competitive eSports in national and international leagues & tournaments. In addition to the success-oriented eSport, marketing our teams through a wide-ranging entertainment program for fans, spectators and players in the foreground. 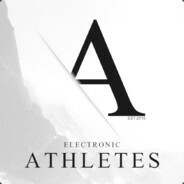 In addition, we offer the cooperation of our cooperation partners to all users of the platform "the-athletes.eu" the latest information from the areas eSport national / International and Gaming Hardware. MMOGA provides you with an all-round service for online games and virtual goods. No matter what you need, we provide the right product. You get everything quickly and conveniently from one source - and always safe, as fast as possible and at reasonable prices! The Heiper LAN House is in its 7th year since its inception and we can still look forward to a very good demand but above all many teams who enjoy the time at the Heiper LAN House. Many have been coming back for years.